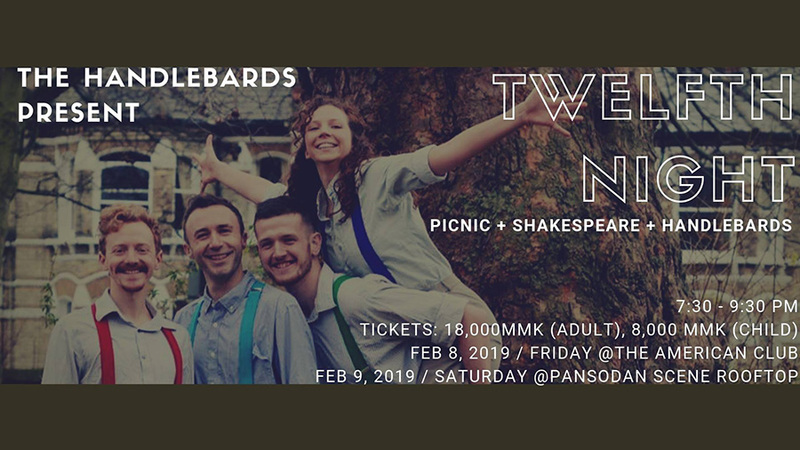 This is a lively comedy performance of Shakespeare’s Twelfth Night by a traveling troupe of four on their third visit to Yangon. The high-energy performers are not afraid to swap characters or genders and use bicycles and instruments during the act too. The first performance takes place at The American Club on Friday and the second at the great venue of Pansodan Scene Rooftop on Saturday. Organized by iDiscover and Doh Eain, this is the launch of a neighborhood exhibition which tells the stories of 18 Chinatown residents. The morning will have a storytelling session and discussions with some well-known Chinatown residents. 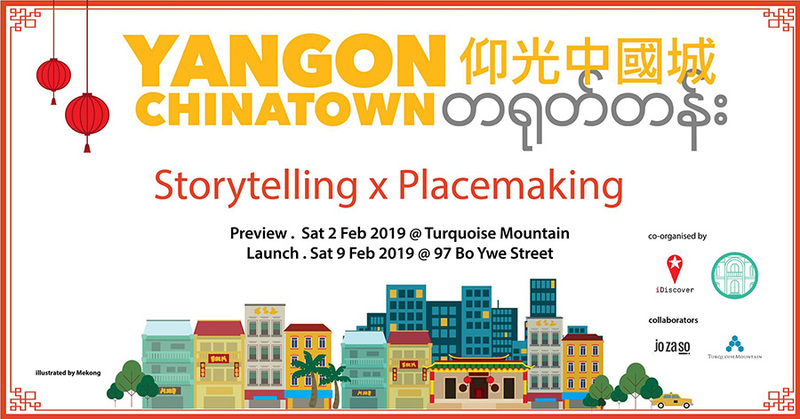 In the afternoon, a series of placemaking activities as organized by Doh Eain will take place and participants will be invited to share their vision of the future of Yangon’s Chinatown. At 4 p.m., a tour of Chinatown using iDiscover’s map and app will give participants a deeper insight into the neighborhood and its secrets. 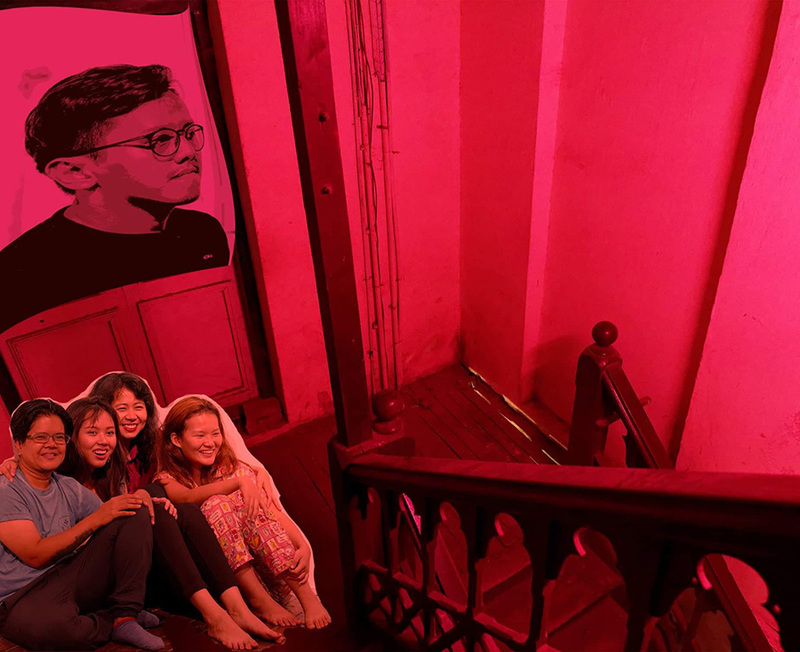 Organized by The New Yangon Theater Institute and Myanm/art, this work of contemporary Myanmar theater is inspired by The Balcony by Jean Genet. The performance “confronts the illusion of certainty” and is directed by Ruth Pongstaphone with May Thet Zaw. Note, this performance contains mature content and is for over 16s only. 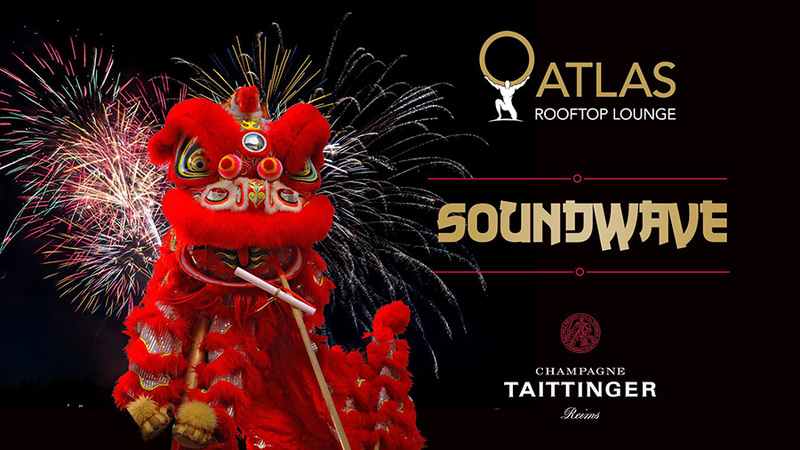 In the Chinese New Year special edition of Atlas’ regular Soundwave DJ night, a troupe of lion dancers have been invited to perform. Themed cocktails to ring in The Year of the Pig are also available on the night at this great rooftop venue. 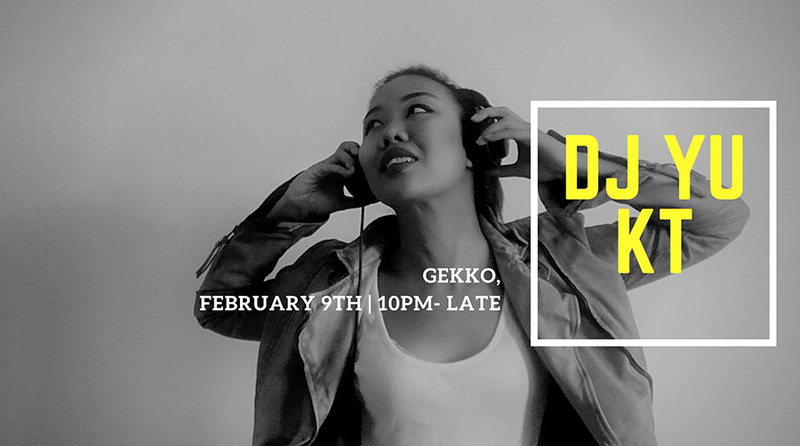 Team a couple of rounds of Gekko’s incredibly delicious cocktails with the groovy beats of DJ YU KT, one of Yangon’s best loved DJs and dance away your Saturday night with friends. Yu KT plays an eclectic variety of music ranging from minimal, electronic, deep, tech house to techno and 80’s Chicago house. 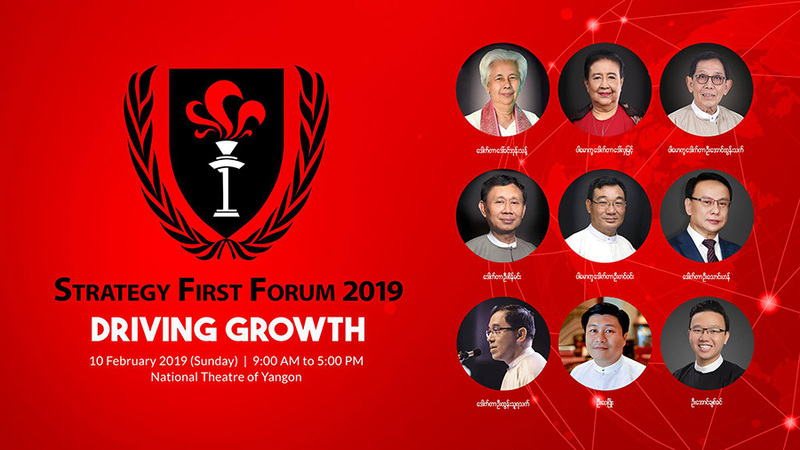 In this Burmese-language forum arranged by Strategy First, listen to the experts for their advice on “Driving Growth” including speakers like Rector of Yangon University of Economics Doctor U Tin Win, CEO of Max Myanmar Holdings U Thaung Han, Advisor at Strategy First Institute Daw Khin Ohn Thant and many more. Full-day, morning session and afternoon session tickets are available. 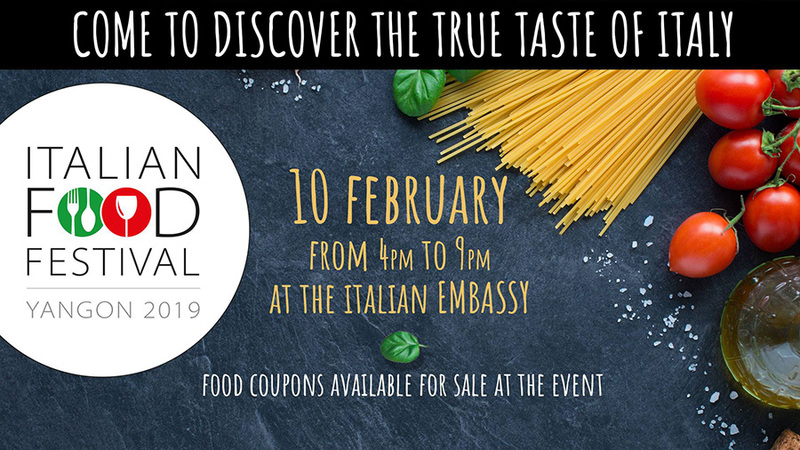 The Italian Embassy will hold Myanmar’s first Italian Food Festival on Feb. 10. The event, aiming to reach out to Myanmar people especially, will offer a mouthwatering sample of authentic Italian dishes and wines, and the opportunity to learn more about Italy’s contribution to Myanmar’s culinary scene. 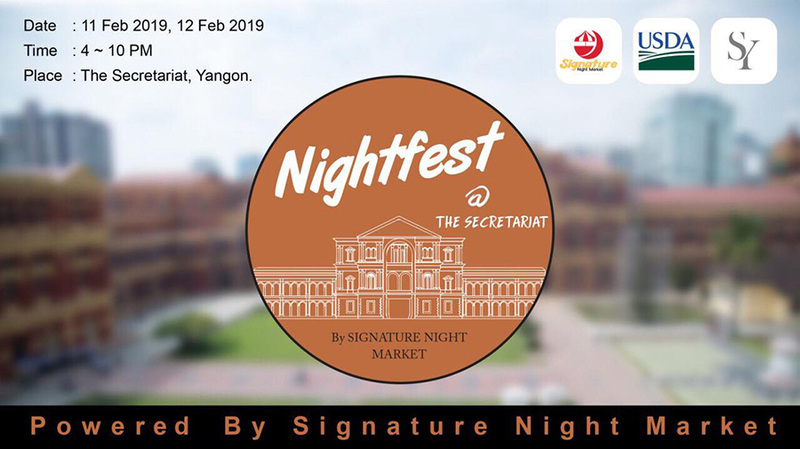 This is a two-night bazaar focusing on American and Myanmar products which is joining a growing number of boutique markets popping up in Yangon, though the venue is somewhat more controversial. Food stalls, wine and other alcoholic beverages will be for sale and a music concert will provide entertainment in the grounds of the grand Secretariat building. 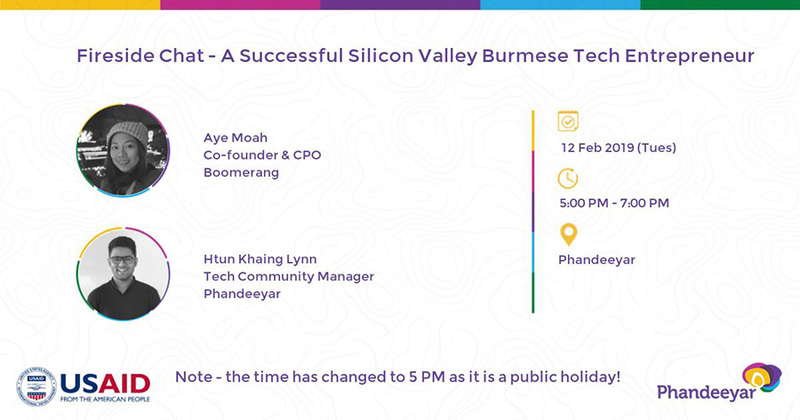 In this edition of Phandeeyar’s regular “Fireside Chat” event series, Burmese female tech entrepreneur Ma Aye Moah will talk about her successes as a Silicon Valley entrepreneur. She is the co-founder and CPO of Boomerang, a successful software tool used across the globe which helps with email precision and productivity. 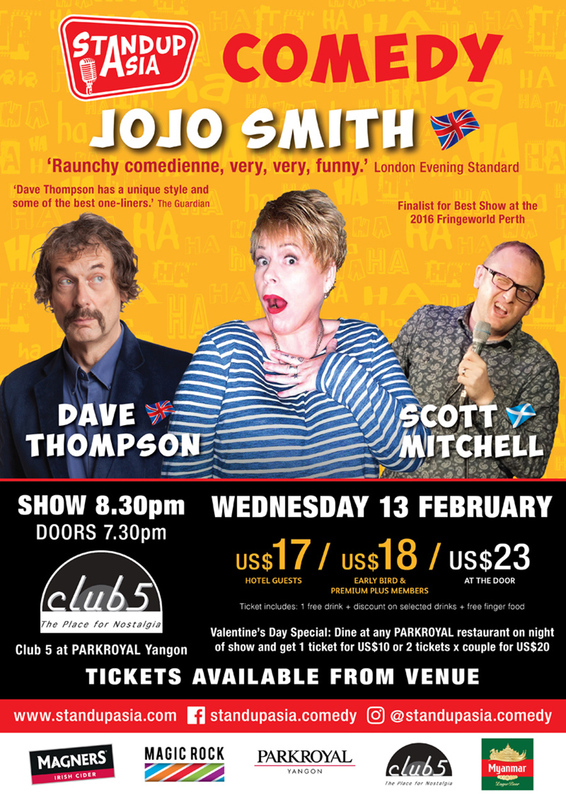 In a run of monthly comedy events held at Parkroyal Hotel and organized by Bangkok-based Standup Asia, this second comedy night will feature Jo Jo Smith (UK), Dave Thomson (UK) and Scott Mitchell (Scotland). Prepare for plenty of giggles, laugh-out-loud moments and hilarious one-liner gags. Tickets include one free drink, drinks discounts and finger food. Check the event Facebook page for Valentine’s meal+event deals in conjunction with Parkroyal Hotel. Are you sick of all the talk of Valentine’s Day from your loved-up friends and colleagues? Are romantic dining promos clogging up your social media feeds? If so, this event is the best way to spend your Feb. 14. With a free flow of beverages, lucky draw and a Gorgeous People competition, you’re sure to have lots of fun. 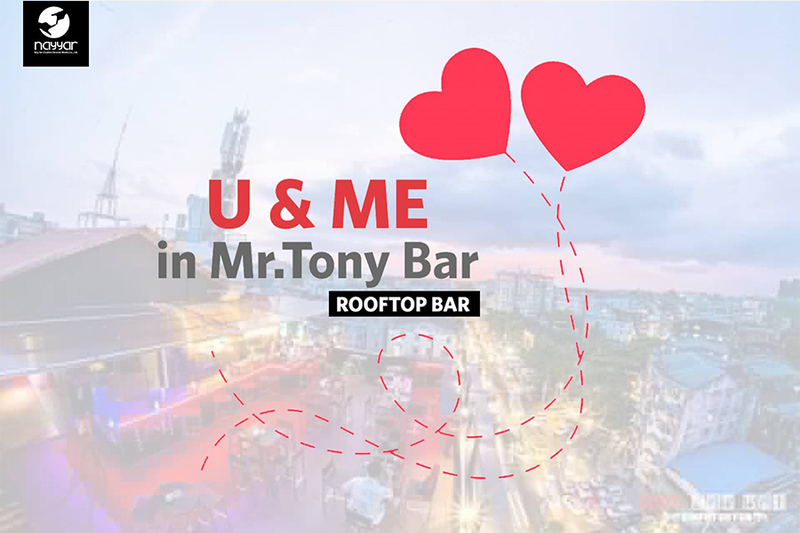 Sure, there are lots of fine dining events and promotions in Yangon this Valentine’s Day, but if that’s not your thing, the event at Mr. Tony rooftop bar in Sanchaung sounds like a more casual and light-hearted yet no-less-instagramable way to spend V Day with your chit. 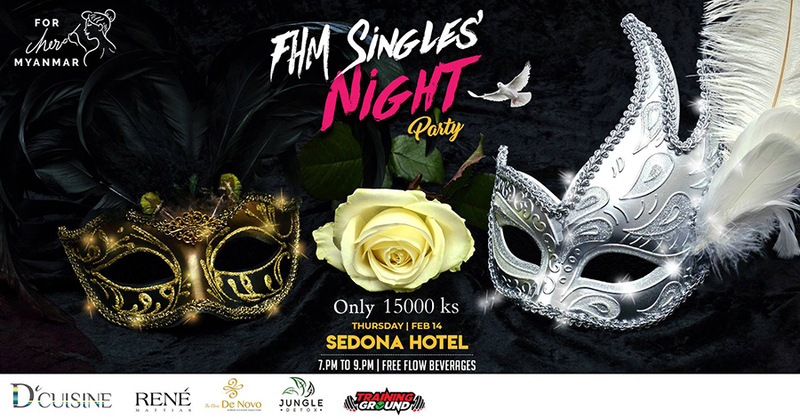 Enjoy a free welcome drink, a lucky draw and love songs, games and balloons all evening.